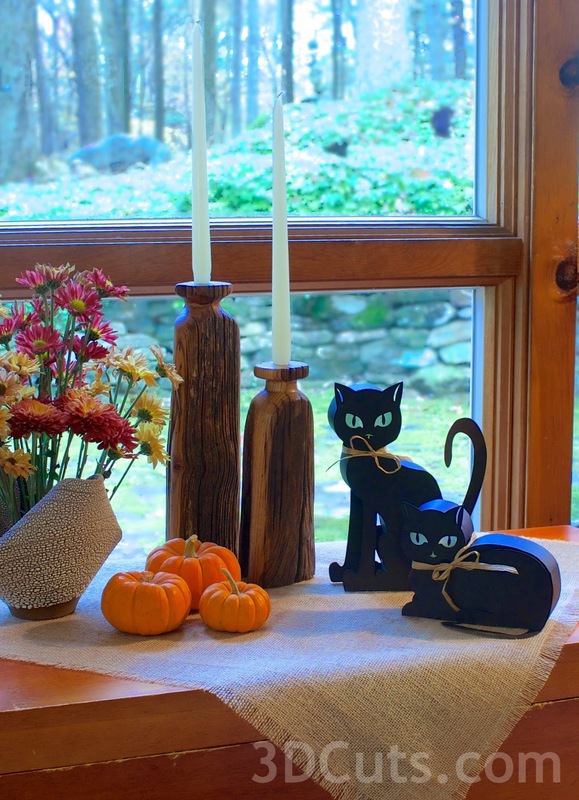 Ashbee Design: My Latest Paper Project • Halloween Kitties. 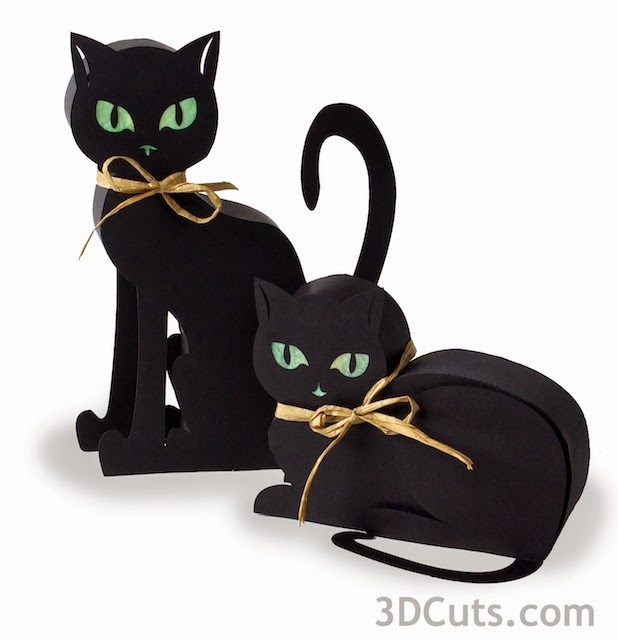 My Latest Paper Project • Halloween Kitties. I am still thinking and designing in 3D with my paper crafting. For Halloween I made a pair of kitties. They have been sized so an LED tea light will fit in the head and the eyes glow! You should have seen my granddaughter's reaction to them! I am selling the cutting files for both Silhouette and Cameo crafters on my store site at 3DCuts.com. The most time consuming part of creating files like this is making the step-by-step tutorial to go along. Check it out here.